Oil and natural gas are now acknowledged to be the driving forces of international politics. What has not yet been fully explored is how their delivery affects the geopolitics of the world. Pipelines, once built, create new diplomatic realities - some states are newly connected, others isolated. Oil and natural gas are now acknowledged to be the driving forces of international politics. What has not yet been fully explored is how their delivery affects the geopolitics of the world. Pipelines, once built, create new diplomatic realities - some states are newly connected, others isolated. Some states benefit economically, others lose out. Often new energy supply routes fall across political fault-lines, as in the case of India and Pakistan. In the case of the former Soviet Union, the existing pipeline network reflects an old political reality, and causes tension between the newly independent states and their former Russian master. With energy demand soaring in industrialising Asia, and the resurgence of great power rivalry, the politics and practicalities of pipelines become central to a proper understanding of world affairs. 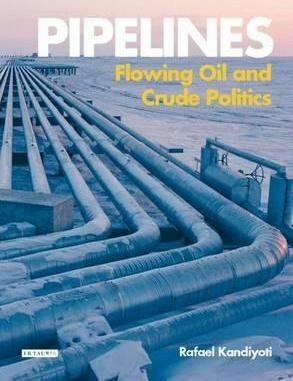 In this groundbreaking book, Rafael Kandiyoti takes us along the pipeline networks, from Kandahar to the Caspian basin, from Ceyhan to China, and shows us how they form the foundation of the new geopolitical order. In the process, he demonstrates that the issue of energy supply revolves not only on hydrocarbon resources but also on their delivery.